On June 26, Thundershorts, An All-New, Free Streaming Video Site, Launches With An Original Slate Of Comedy That Is Both Funny Ha Ha And Also Funny In Like, A More Existential Way, Y’know? 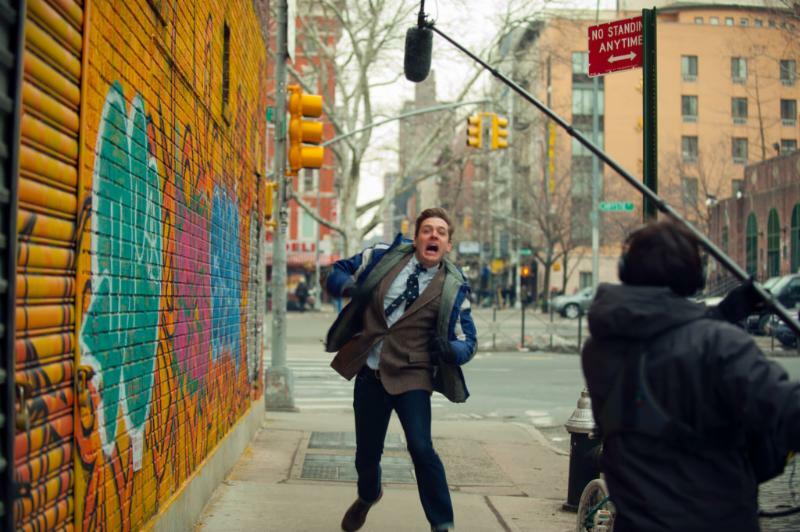 New York, NY, June 11, 2014 – It’s never been tried before, but what if there were funny videos… online? On June 26, Thundershorts, a unique, free streaming video site, will launch from SnagFilms, the award-winning video platform and 2014 Webby finalist. Featuring original comedy shorts and episodes, the new site will initially debut seven exclusive series: “American Viral”, about one family’s outlandish attempts to recapture its YouTube fame; “Teachers Lounge”, featuring a bevy of A-list cameos, “Gabe & Max Need Help” which finds longtime friends and comedians Gabe Delahaye and Max Silvestri in couples counseling led by Kumail Nanjiani, “Don’t Walk,” a hilarious real-time adventure taking place entirely on New York City’s street corners, and three series starring up-and-coming comedy stars: “Timeless Seasons”, “Augie, Alone” and “Loo Makes It Big”. The series, available to viewers at no cost, will premiere exclusively on Thundershorts.com and all SnagFilms supported devices, including their award-winning, multi-platform app. “American Viral” (Season One, 5 episodes, 4-7 mins. each) – In the vein of dysfunctional ensemble comedies such as “Arrested Development” comes this zeitgeisty sitcom about a family desperately trying to recapture the fame they achieved when a YouTube video of their son went viral. 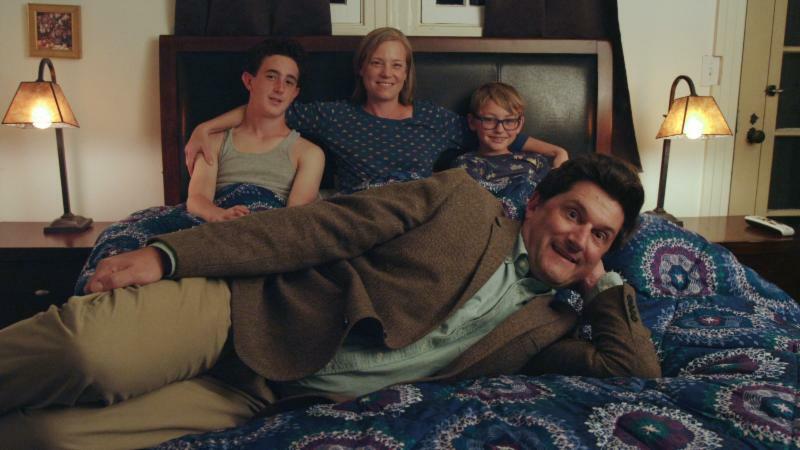 To that end, the shameless patriarch, Roger Busk (Michael Showalter), will stop at nothing to exploit his family. Showalter is well-known to comedy fans for his stints in the sketch comedy troupes and TV shows “The State” and “Stella”, as well as for writing and starring in cult-classic Wet Hot American Summer and his smash web series “Michael Showalter Showalter”; he also wrote this summer’s They Came Together, starring Paul Rudd and Amy Poehler. Co-starring Zandy Hartig (They Came Together, “Children’s Hospital”) as Mimi Busk, the series also features Janeane Garofalo (“Inside Amy Schumer”, Bravo’s upcoming “Girlfriend’s Guide to Divorce”), actor/director David Wain (They Came Together, Wet Hot American Summer) and Steve Agee (“New Girl”, “Community”). “American Viral” was created and directed by Shandor Garrison, AnnaRose King and Jennifer Suhr and produced by Carolyn Mao. “Teachers Lounge” (Season One, 10 episodes, 4-7 mins. each) – Ever wonder what goes on behind that mysterious “Teachers Lounge” door? This summer, pull up a small, uncomfortable metal chair for this hilarious, fly-on-the-wall look at the goings-on of a New York City elementary school. Created by and starring comedians Ted Alexandro (“Late Night with Conan O’Brien”, “Inside Amy Schumer”) and Hollis James as a music teacher and janitor, respectively, the series follows their interactions with bizarre coworkers, including teachers and administrators played by A-list comedians Jim Gaffigan, Dave Attell, Jim Norton, Todd Barry and Michael Che, with Janeane Garofolo as…the PA Announcer. “Gabe & Max Need Help” (Season One, 4 episodes, 4-6 mins. each) – Where do friends turn when they have problems? Most wouldn’t jump right into therapy, but for longtime friends/comedians Gabe Delahaye and Max Silvestri, couples counseling just seemed right. Join the best-friend couple and their therapist (Kumail Nanjiani, “Silicon Valley”, “Portlandia”, “Veep”) as they tussle with hot-button relationship issues such as yogurt thievery. Gabe & Max was created by NY-based comedian Silvestri, a creative consultant on Funny of Die’s “Billy on the Street”, soon to be appearing in FYI’s “The Feed” with Marcus Samuelsson and Gail Simmons, and named by New York Magazine as one of the “Ten Comedians People Find Funny”; and Delahaye, an LA-based writer/comedian who has written for and appeared on Videogum, This American Life, McSweeny’s, Gawker, Funny or Die and Comedy Central. “Don’t Walk” (Season One, 9 episodes, 1-2 mins. each) – Each episode is a mini-sitcom that takes place on a New York street corner during the time the “Don’t Walk” sign is illuminated. Following the main character (Max Silvestri, “Gabe & Max Need Help”), a guileless, friendly Midwestern transplant who is deathly afraid of jaywalking, “Don’t Walk” takes us along on the journey to his first day of work. Every street corner in New York is a new world populated by strange characters and unexpected adventures. “Don’t Walk” was created, written and shot by ew York writers Kemp Baldwin, Gates Bradley and Mike Laskasky. Thundershorts will also be the exclusive home to three series welcoming up-and-coming comedy talent: “Timeless Seasons”, “Augie, Alone” and “Loo Makes It Big”. “Timeless Seasons,” created by and starring Sundance Institute fellow Hannah Bos, Tonya Glanz (“The Good Wife,” “Nurse Jackie”) and Amy Heidt (“A Problem Like Maria”), is home shopping network meets David Lynch meets your new scrapbooking stepmother. In “Augie, Alone”, created by and starring award-winning NYC writer Lee August Praley, we follow the titular character as he traverses the inanities of everyday life and records it all, mostly alone. With her heart in the arts, her head in the clouds and a passion for attention, “Loo Makes It Big” is brought to life in glorious Technicolor by comedian / filmmaker Marcie Hume. One way or another, Loo is going to be a star, a bright shiny star! The first episodes of “American Viral”, “Teachers Lounge”, “Gabe & Max Need Help”, and “Don’t Walk” will all premiere on June 26, with remaining Season One episodes debuting on a weekly basis thereafter. All other Thundershorts Exclusives will be launched on June 26 for binge-viewing.